Barcelona traditionally has been considered as a team which struggles with aerial prowess. Usually, if you listen to English commentators, in every match they emphasize how Barcelona have this weakness against aerial deliveries and aerial attack. Looking at our talismanic players, it is understandable why they think so. But those who clearly observe or watches Barcelona's matches, it is very clear that Barcelona conceded aerial goals just like any other top teams in Europe. Obviously considering dominating at us in possession looks a difficult task, then everyone assumes that the easier task is the aerial attack, even when the chances are less. 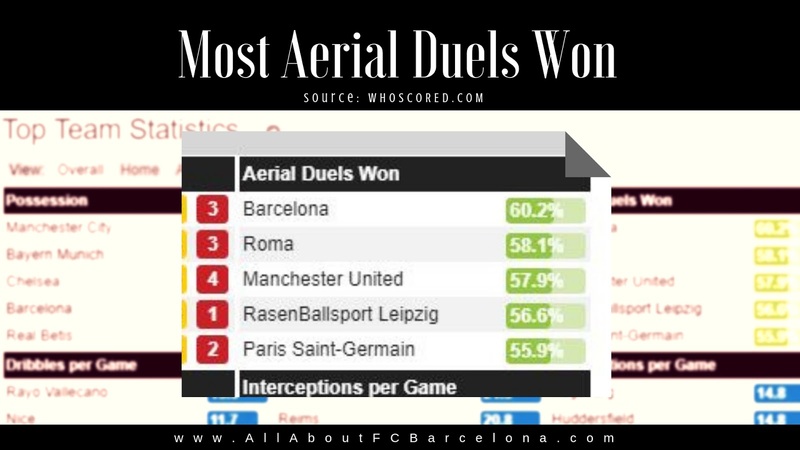 But this stats clearly show that Barcelona is no minnows dealing with aerial balls. 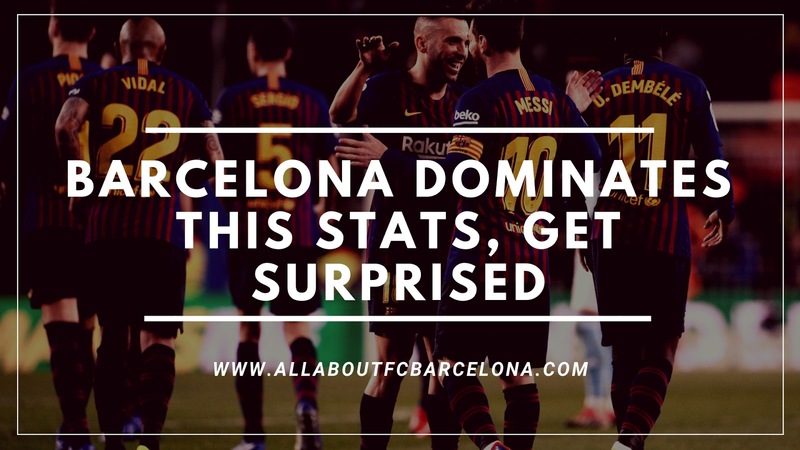 At 60.2%, Barcelona leads the next placed Roma by almost 4 points. That's big when considering Roma, Manchester United, PSG etc are traditionally known to be more aggressive in the air. Then this Barcelona side is not exactly full of minnows, but still topping the chart was a huge surprise. The average height of Barcelona squad stands at 1.8m. That pretty good but nothing special to be the considered an aerial defensive threat. Manchester United and Roma Squad's average height is above 1.83m and they were supposed to win this duel hands down. But despite having some of the shortest players like Messi and Alba, Barcelona have a great spread of height across the squad and positions. The center backs are pretty tall, but the full-back lacks the height. In midfield, Rakitic, Vidal, and Busquets provide the aerial cover and in attack Saurez's height is a welcome change. This balance of height helps us to defend the majority of the corners and free kicks and help us to get to goal kick at first. But then the value of 60% also means that we are doing pretty well in opposition areas also. Especially considering the amount of corners opposition concedes against at. May be Barcelona's aerial weakness was always a myth!